There are great powers and transforming energies in daily rituals. A true story to help illustrate how purposeful they can be is the story of Dashrath Manjhi of India. Back in 1959, Dashrath’s wife suffered a life-threatening injury. They lived in a small, impoverished village. The closest medical care facility was about eight miles away. Which was difficult enough considering their means of transportation, their feet, but their journey was complicated by a difficult to transverse hill range known as the Gehlour Hills. 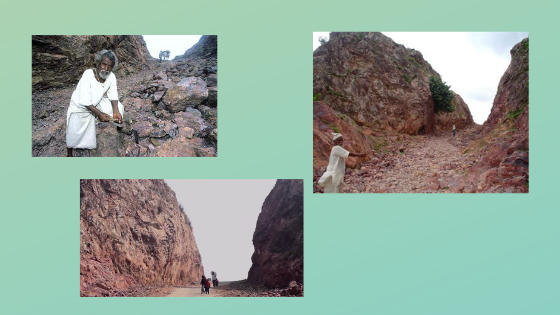 This steep and rocky range was directly between the village and the care facility, which made the journey without injuries very difficult, but with injuries almost impossible. The other option was a 43 mile trip around the Hills. Unfortunately, Dashrath’s wife died from her injuries. The unfortunate pain and suffering set into motion a path that Dasrath choose to pursue for the next 22 years and have an impact on thousands of lives. After his wife passed, Dashrath made a decision. He decided to carve a road through a narrow path in the Hills, thus allowing those who would need medical attention in the future a more accessible and quicker route. With nothing but a sledgehammer and a broad chisel, Dashrath began his quest. Every day for the next twenty-two years was just about the same. His day would start at 4 AM where he would be digging and chiseling his road until 8 AM. From 8 AM until 1 PM he would work plowing fields to earn a living. Then from 1 PM until late in the evening, he would go back to digging his road. When he began his quest all of the villagers and even his own family thought he was crazy. But he kept up this ritual for twenty-two years. I would say that more than anything it was Dashrath’s ritual that allowed him to complete his road. It was probably the only way he could have accomplished it. Dashrath Manjhi died in 2007 and received a State funeral for his selfless service. There is a movement to award Dashrath the Bharat Ratna, India’s highest civilian public service award. With the Power of Ritual, you can move mountains. You are already a product of your habits and rituals, why not create some that empower you to move your mountains.